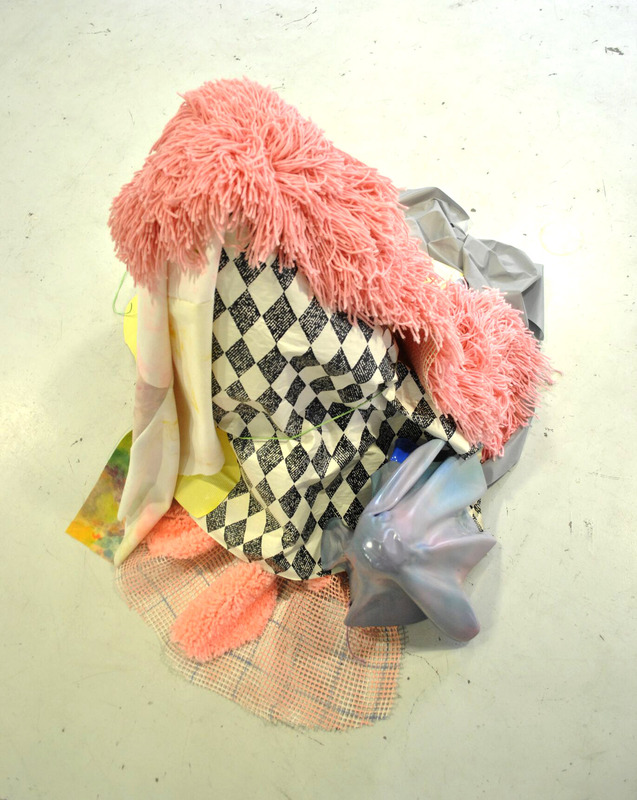 Recently second year MA Printmaking student Leah Stewart and MA Printmaking Alumnus Sebastian Thomas collaborated for ‘A Casual Texture’. A residency they choose to work together on that ended with an exhibition. Leah took over our blog to tell us about the project and her work. Hello! I’m Leah Stewart, and I’m originally from Northamptonshire, though I’ve lived in London for almost 10 years. 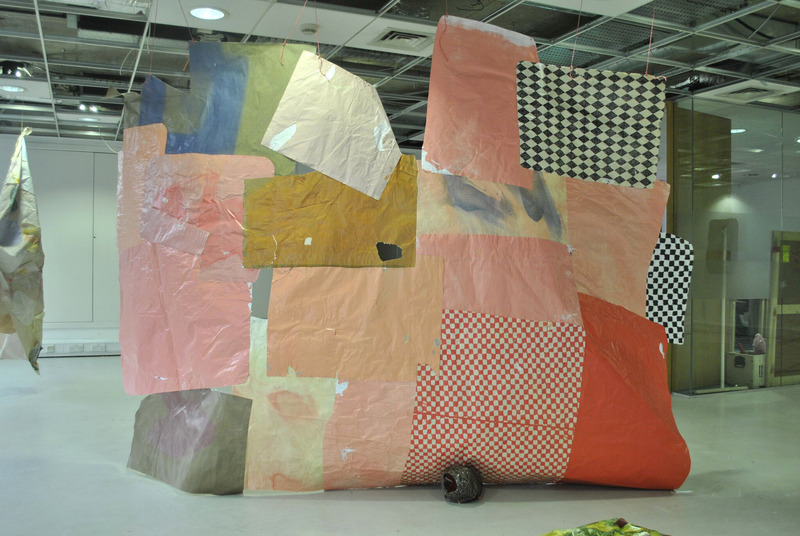 I’m currently a second year MA Visual Arts (MAVA) Printmaking student at Camberwell, working across printmaking, textiles, painting and sculpture. 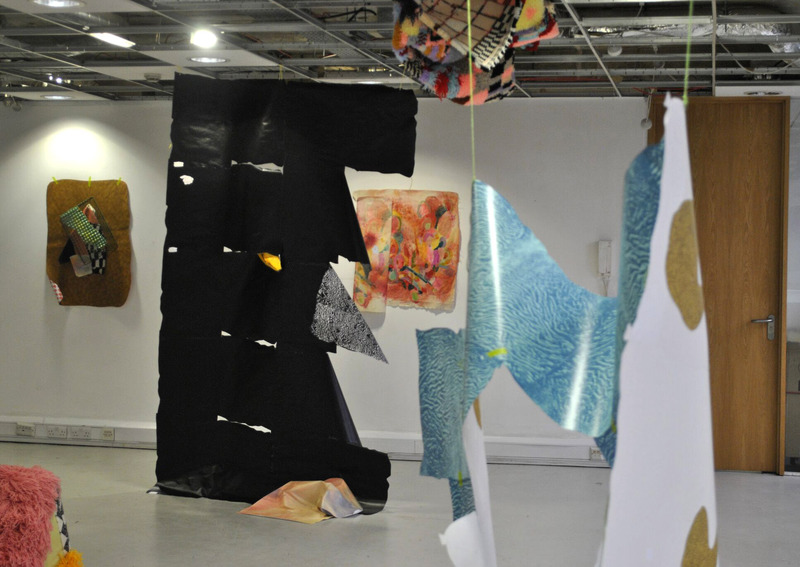 I came to study at Camberwell because I wanted to create some space and time in my life to expand the work I was making, and to be part of a community of artists learning together. 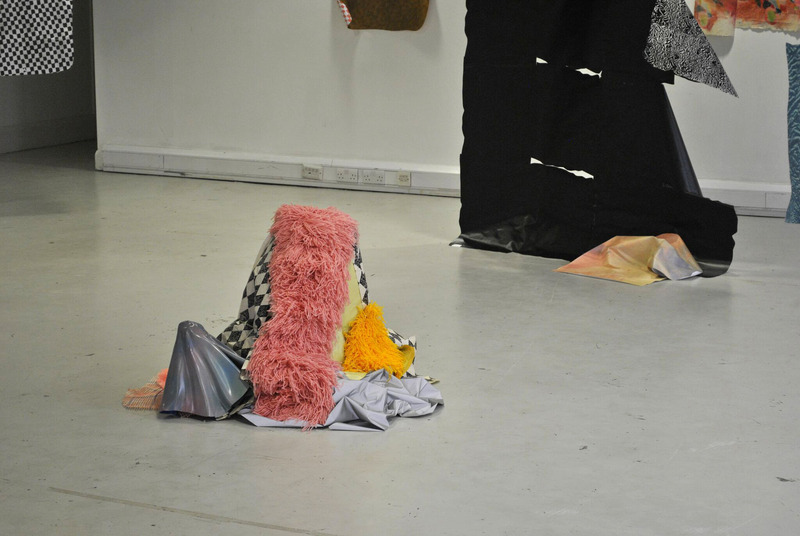 I chose to study at Camberwell specifically because I was drawn to Camberwell’s ethos of thinking through making, as well as the extended full-time two year MA programme, which I thought would help give me the maximum time to develop my work, whilst also being able to work part time to support my studies. ‘A Casual Texture’ was a collaborative project conducted by Sebastian Thomas and myself, which took the form of a week long residency at Outset Contemporary Art, culminating in an exhibition. Seb and I met on the MAVA Printmaking course, where he was in the year above me. 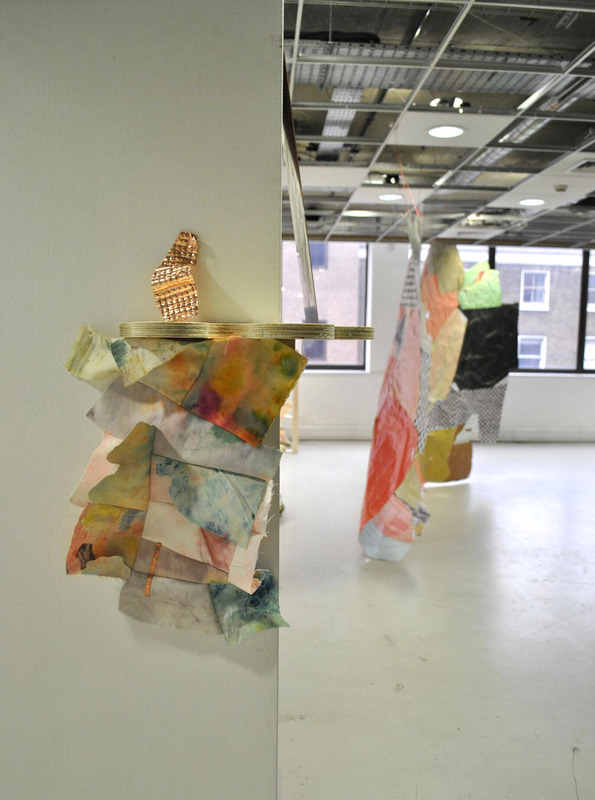 We both work on the fringes of printmaking, using materials, colour and surface to play with print language, often with sculptural or object-based outcomes. 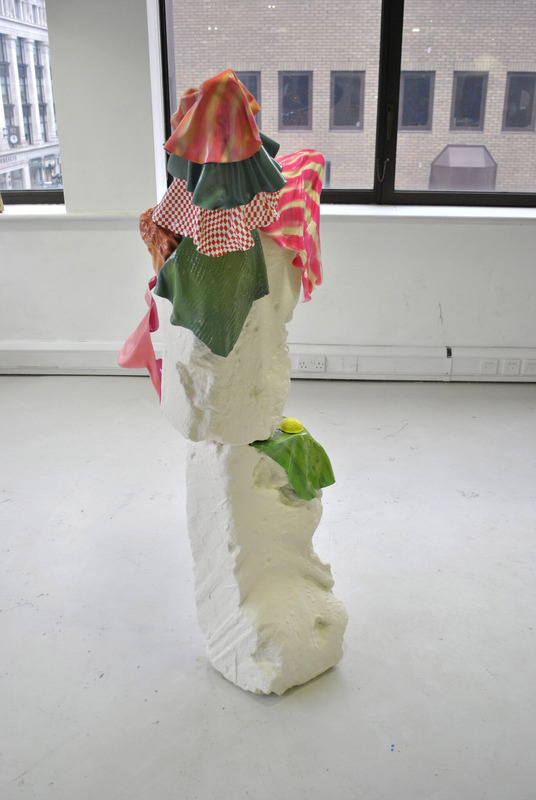 In Seb’s MA show I was drawn to a feeling of humour tempered with sadness emanating from the sculptures he had made. We decided to work on something together after a while talking about the emotional resonance of materials. Originally we planned to make work individually and put on an exhibition, but after looking around for a place and not really finding anywhere suitable, we applied to Outset to be part of their residency programme and were delighted to be accepted. When we realised we would have a space to make work in together, we revised our ideas to involve more collaborative work, which was a serendipitous development as I think it really helped me to expand the way I think about making. Seb’s approach is bold, and he definitely encouraged me to be more courageous and experiment with making larger works, whilst still retaining the smaller, softer details and intricacy of making that I like to use. 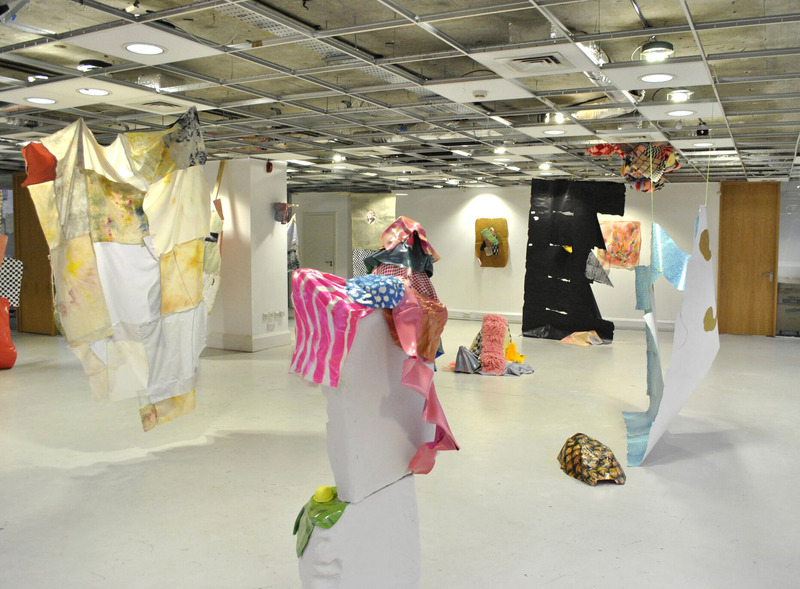 The exhibition contrasted very large suspended collages and textiles hung to form ghostly sculptures with smaller assemblages and paintings. It was an intense period of making work, and I think it provided both of us with a jolt of energy to develop our work outside of our individual practices. Hopefully it will lead to more collaborative work in the future! Other than the residency, my work at the moment is concerned with exploring ideas about ancient and medieval cosmogonies and using colour, surface and pattern to create hybrid works that reference contemplative spaces. I’m beginning some work that is developed from research about medieval stained glass, and also looking to create space within my work for people to sit and be. Camberwell has informed my practice in many ways, both in terms of creating a setting where I can explore the boundaries of the work that I make and introducing me to people that have been instrumental in supporting the development of ideas behind the physical making of work; tutors, technicians and other students. 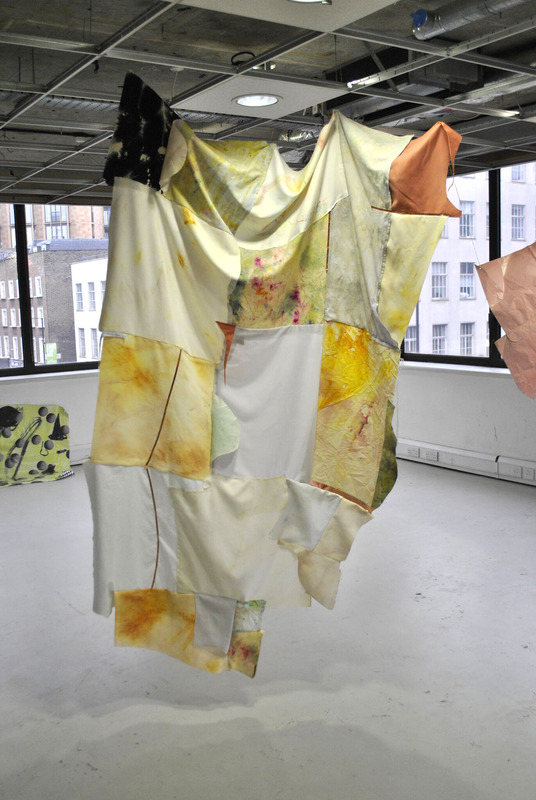 It’s also helped me create a foundation in my practice that has enabled me to work with other artists and places outside of UAL, which seemed somehow out of reach before I returned to studying. My immediate future plans are to develop my work for the MA Degree Show in July, and then go on a residency in Northern Italy. After that I’m developing ideas for an exhibition at the wonderful Intercession Gallery in Northampton for 2019 and would like to find a studio and continue the research I’m doing now. I’d also like to do more residencies and collaborative works with other artists, it’s such a fantastic way to push ideas along, even if the residency is only for a short time. I feel like I’m taking in influences constantly, but a couple of books that have really fed my research for the MA include ‘By Grand Central Station I Sat Down and Wept’ by Elizabeth Smart, which is wonderful for being so explosive in its imagery, ‘The Waves’ by Virginia Woolf, and ‘Selected Writings’ by Hildegard von Bingen. All these books, and others have influenced my work by helping me find a rhythm and visual iconography within my work, which tends to be quite intuitive, reflexive and abstract. My favourite place or thing in Camberwell would be the stained glass window between the first and second floor in the Victorian Building, painted by William Blake Richmond. The colours and pattern around the edges is beautiful, we’re very fortunate to have it in the college. A current must-see exhibition in London would be Giorgio Griffa at Camden Arts Centre, as well as Tacita Dean’s ‘STILL LIFE’ rooms at the National Gallery.